So here I am knitting away happily on my hexipuffs when out of the corner of my eye I spot yet another previous WIP that has been neglected. It is the baby blanket that I was knitting for my friend who I told it would be finished by Easter. Drat! 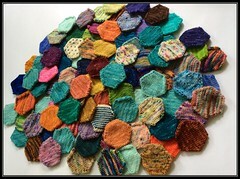 I had completely forgotten all about it in my hexipuff knitting frenzy. But I am determined to get this blanket finished by Sunday! This is a very tall order with all of the day-to-day details to keep track of too, but I am focused! The pattern is the Zoom Baby Blanket Pattern that I got from Etsy. 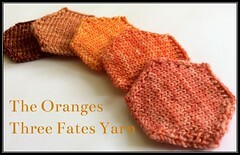 It is a great pattern, beautiful, fun to knit. I ran into trouble from the start when I decided to make the yarn I have at home work for the pattern. 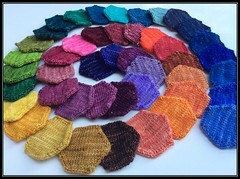 The pattern calls for chunky yarn and I had already purchased the worsted weight yarn I wanted to use on the project. I figured if I just added three more pattern repeats, I would get up to the same size as the chunky yarn blanket. Well, I way over-estimated and probably only needed one extra repeat so I have made more work for myself. To compensate for the width of the blanket, I have needed to add extra pattern repeats to the length and that is also costing me time. I finally made an executive decision and decided to leave off one of the length repeats. 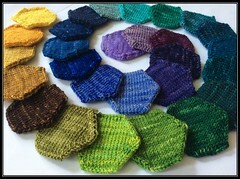 At this point I have 23 rows of 209 stitches each left to knit – let’s see how much I can complete today! I may shave some rows off the side borders to help with sizing, so it maybe even fewer rows than that! I do plan to knit a puff today too to keep me sane!